Love Vinyl London's #37 Record of the year is? Big thanks to Zaf and Roual for the love and support! "Big Mean Sound Machine from Ithaca, New York are a modern day Afro-latino band that deliver the funk business. The three original cuts are loud, proud and funked up to the max. We look forward to the album dropping in the new year." Soren and I have known each other since I was just sixteen. We met at a gig in my small hometown of Ithaca, New York, where the number of DJs present exceeded the size of the additional audience. 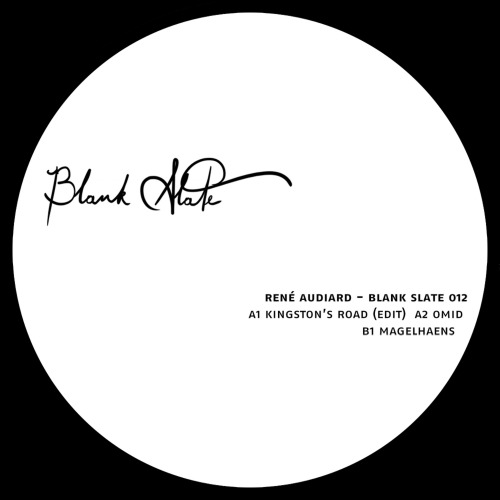 Two years later we started DJing together, and two years after that, Blank Slate was born. Soren has been a friend and mentor, and he has deeply influenced my musical education. Soren’s more imaginative and challenging music is ingrained in the label's foundation, and it’s a privilege to build on this tradition. We also share a common interest in non-Western music, and if you’ve ever been lucky enough to catch Soren DJ you’ve undoubtedly heard his propensity to sprinkle a variety of international music into his sets. In the small and enclosed world of dance music, the fact that music flourishes beyond the confines of the West is often overlooked. Whole forms of dance music wait to be encountered, enjoyed, and understood. All too often, when producers interact with international music, the association is very limited. Music is simply packaged and inserted into the dance music formula, often at the expense of the original material’s groove, rhythmic complexities, and sampled material. Among friends, we’ve dubbed this phenomenon “ethnosploitation." A more respectful method is demanded, even at the cost of accessibility. Such a fuller and more wholesome interaction between the structures of dance music and the nuances of non-Western music is the methodology that holds this record together. Soren allows his sampled material to sing true — letting the sample dictate the structures of the track. The result is a beautiful musical balance. Soren proves yet again that dance music’s formulaic nature can be embraced and challenged simultaneously. Hats off to him. As always, keep your eyes peeled for his upcoming projects. Tremendous thanks to Kai Keane who, on my visit to my hometown of Ithaca New York, was instrumental in convincing me to get a website and then found the time and energy to assist me in its setup. Kai has been a lifelong friend since we met in middle school who's showed me support more times I can count. We both, along with Mirko, played in the same high school band when we first were discovering dance music. Kai's a wizard on the keys and be sure to check out his project with Mary Millard called The Mimis. Thanks Kai!